Perpetual calendar shows month, date and day with polystyrene cubes. Simply rotate cubes to show correct date. 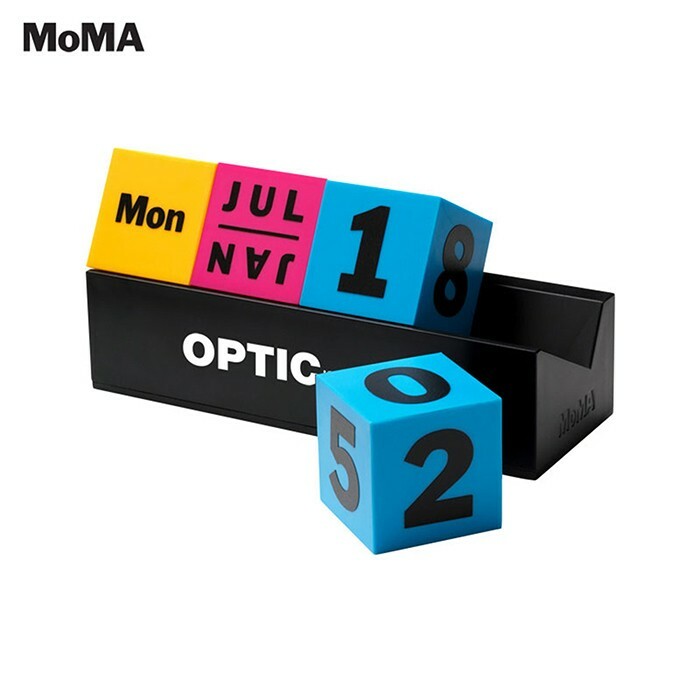 Proceeds from the sale of this MoMA product support the Museum programs. Imprint size: 3" W x 7/8" H.
Packaging detail: Acetate Gift Box. Copyright Green Flash Promotions. All rights reserved.